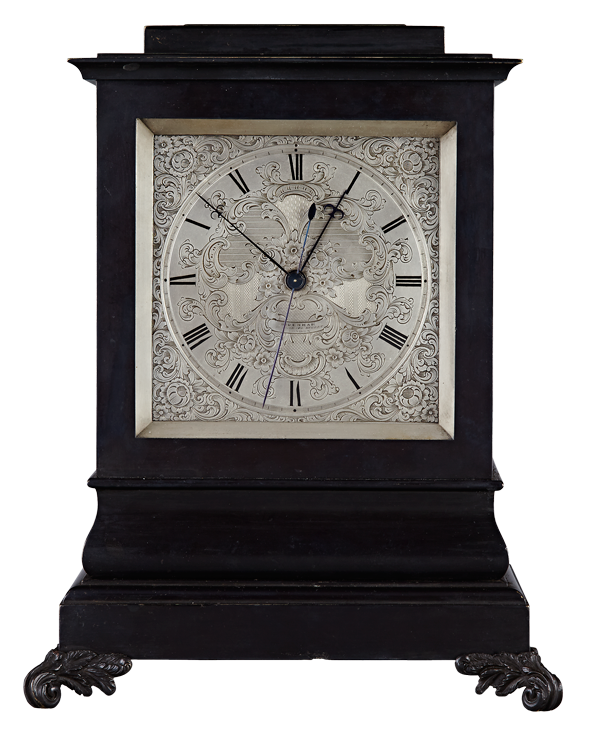 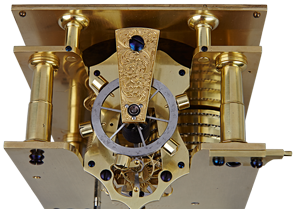 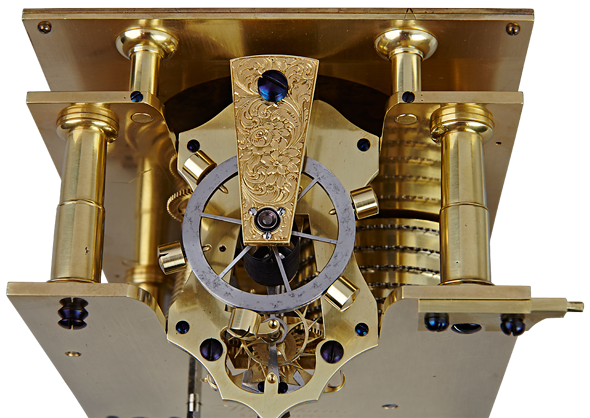 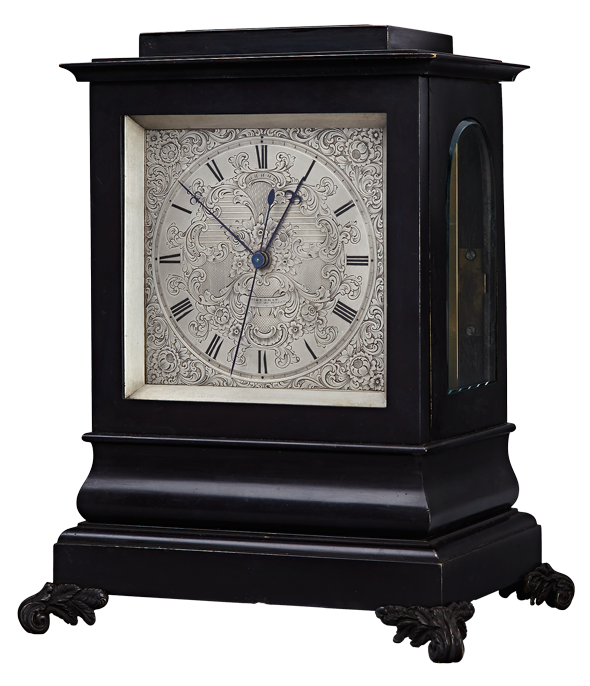 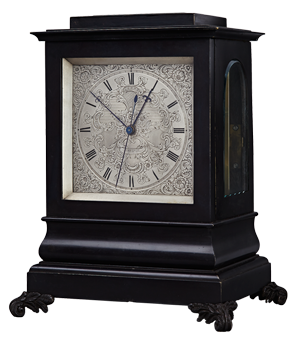 A fine and rare 19th century bronze carriage clock with a particularly fine and rare 8 day chain fusee movement with maintaining power and lever escapement beating seconds. The foliate engraved silvered dial signed and with sweep seconds and fine hands. 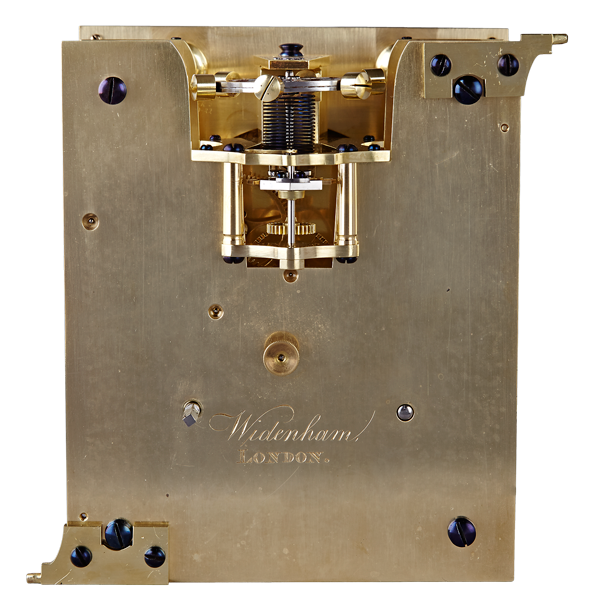 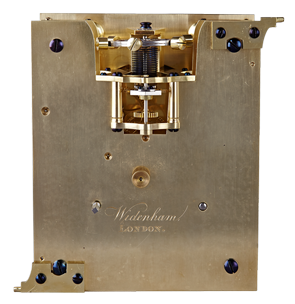 The movement also signed Widenham, London to the backplate. 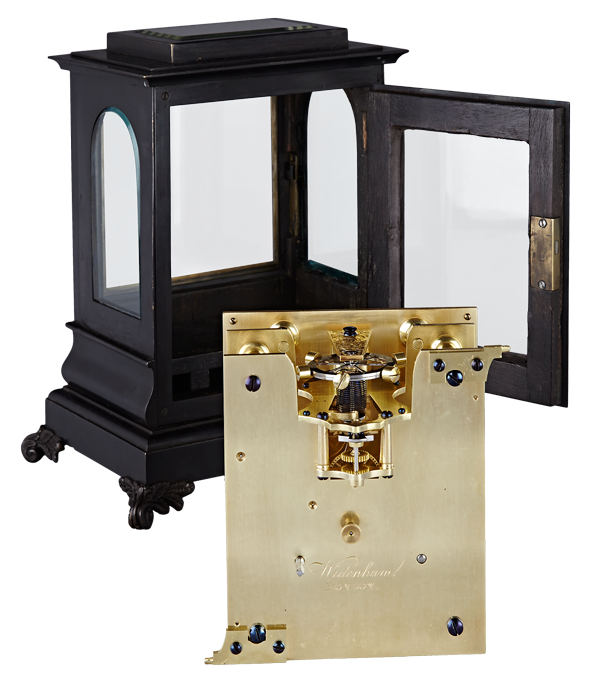 The case standing on bronze scrole feet and with glazing to the side panels and doors, glazed top to reveal a large compensated balance wheel.